Asking for help, of course, has been around for years. This group of complainers contacts businesses through the usual channels–phone, email, or the company website–and most of them expect a response. In fact, a staggering 91 percent of respondents who complain via telephone anticipate a reply. 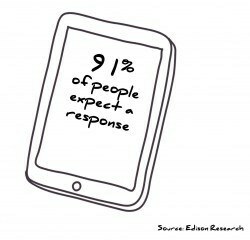 Luckily, companies have responded well to that need, with 83 percent of those customers receiving a reply, according to our research. However, when companies fail to respond to the other group–the attention seekers–they’re missing a huge business opportunity. While only 41 percent of people who complain on Facebook, Twitter, Yelp, TripAdvisor, and other review sites anticipate a response, when they do receive a response, they’re almost twice as likely to recommend the company afterward. This change of heart is much more significant with cries for attention than it is with cries for help, so why aren’t you responding to every complaint on every channel? 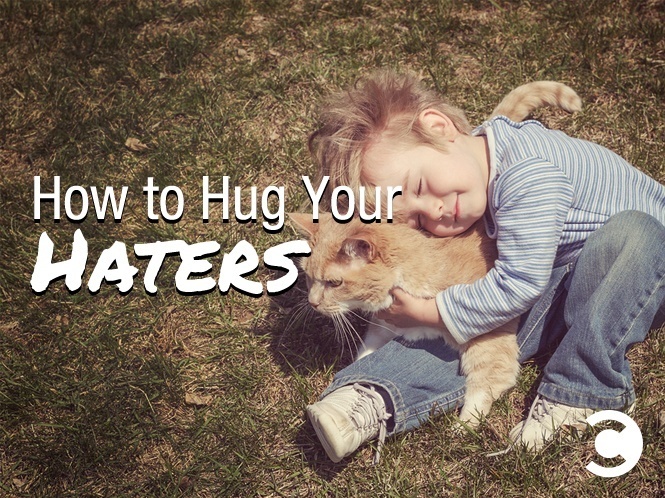 It’s time to hug your haters no matter where they’re complaining. 1. Seek out your haters. You shouldn’t wait for your less-than-satisfied customers to come to you. Complaints indicate pain points that your business needs to address. The sooner you can uncover them, the faster you’ll be able to patch up those parts of your business. 2. Leave no complaint unaddressed. You and your employees need to look at every individual complaint as an opportunity to create a deeper brand experience than a single purchase or interaction ever could. When you answer all the complaints in every venue, you’ll instill more value in your brand. 3. Craft a “Hatrix” to guide your responses. You need to create a resource that will help your customer service team deal with problems on each platform. That’s where the hatrix comes in. This document is meant to explain the best way to deal with complaints based on where and how they were delivered. (you can get a free download of The Hatrix with a book pre-order) Of course, haters’ needs vary significantly depending on a variety of factors, including complaint channel, age, gender, race, technology usage, etc. But by documenting past problems and developing recommendations for each complaint channel, you’ll create consistent messaging that lets your team act fast. The genuine data you use to create your own hatrix will strengthen each interaction. You may be afraid of complaints, but it’s time to change that mindset. People who complain put in the effort to register their opinions, which is much better than the silent frustration and apathy of the unimpressed middle. Complaints are something you can deal with, and when you handle them the right way, your efforts will lead to identifiable results.